Starting from an early age, and to varying degrees, we all have received poor treatment. In some cases, maybe you needed a bit of a stick that day. However, it should only be a reminder of change, not the creation of guilt or depression. Sure, one could say that it is not fair, and that the folks who treat you that way should receive a long house-arrest themselves. Truth be told, it’s life. We all have our ups and downs. It’s why the airplanes fly – without gravity, we’d all be really bad off. However, if you let it affect you, and in worse ways than the next one, you are setting yourself up for disaster. You need to learn how to balance it, and see it as the cycle of everybody’s life. It’s how you deal with it that counts. You must learn to give and receive alike – and not feel bad about it. 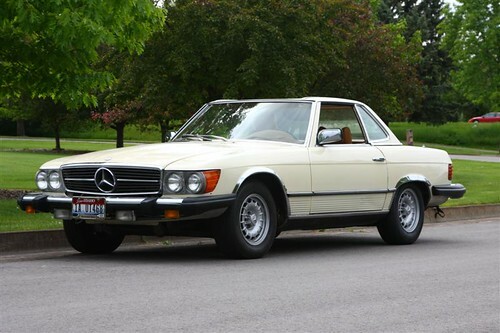 I remember a time, not too long ago (mid 90’s) when I had worked hard and invested some money that afforded me a classic Mercedes 450SL convertible. I was living in Santa Monica, California at the time, and I felt truly blessed. However, because of my earlier programming, input from friends, family, teachers and environment – I didn’t actually drive it for about 2 weeks. I parked it in the garage, and drove my (other car) truck instead. Sure, I had struggled and and worked hard to get it, felt like I deserved it – but something just held me back. I remember a friend back in the home country who had a nice car, and I wished someday I could have one too. And, when I did — I “hid” it. I didn’t even tell my closest friends. I would sit and eat food, drink and laugh inside the apartment, knowing that the gorgeous car sat in the garage – and me just itchin’ to tell them about my new acquisition. Again, no – didn’t want them to think that I was “above” them. The above sounds both serious and sad. Yes, it kinda’ was at the time, but it changed quickly. A new person abruptly entered my life. I fell in love (she did too – who wouldn’t with a car like that ;-)) – and I sure wanted to show her. We drove around Los Angeles, sun shining, big smiles on our faces, and I was literally beaming! It set me free of this (ignorant) pain. And, it turned out that my friends thought it was awesome. How did you do it, they said – I was in shock and awe of the situation. (But, the neighbors never did change – and still live at that same apartment complex, very much cautiously peering out from behind their curtains when anything ‘new’ is happening). That was a long time ago – but it has served me as a great lesson over the years. In your life, as you work hard to reach goals and receive rewards for your contribution, don’t hide or hold back. Others will see you as winner too (perhaps not a first) – and they’ll want to have what you have. It’s ok to have a nice car, a nice house, and that you can afford to give your children and family a nice inheritance. In closing, it is really about this: This is not to show how great or awesome YOU are, but what your work and dedication has given you and that can be an inspiration to others. Teach people to do the same, do better, and go experience the best that life has to offer. It’ll take you to places you never dreamed of!